On Tuesday, October 9, Google will host an event dedicated to the release of the latest products in its Pixel, Home and Chromecast series. This will be a great opportunity for Google to hit consumers before the holidays and respond to competitors as toughly as possible. In just the past few weeks, Apple has announced two new iPhones, and Amazon has introduced many new Alexa products. The upcoming event will show us what Google plans to do to gain an edge in the market, or it will be a “quiet year” for the company. The presentation of Google Pixel 3 and Pixel 3 XL will take place on October 9, at the “Made by Google” event. Together with smartphones, the company intends to introduce the Pixel Stand docking station, which will allow you to turn your mobile device into a home speaker with the support of Google Assistant. This year you can watch the online broadcast in two ways via YouTube and Twitter. As always, the event will be broadcast on the YouTube channel “Made by Google”. The company has already scheduled the broadcast and put it on a timer. In order not to miss the beginning, you must click on the “Remind” button with the bell icon. 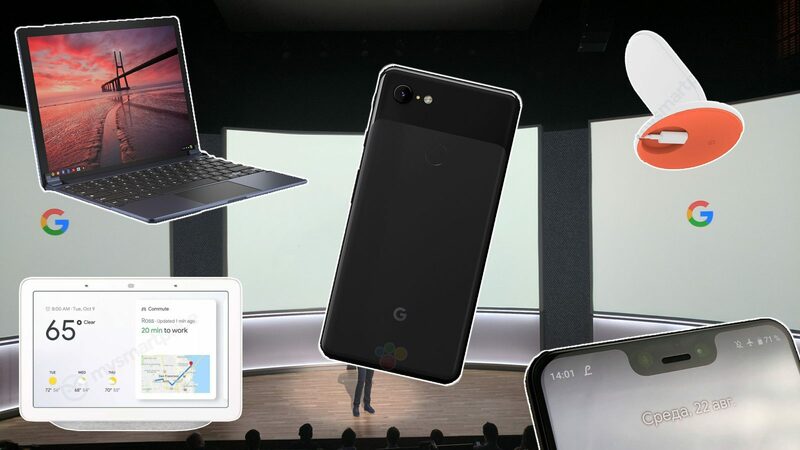 Google has published an invitation to the presentation of new products: among them are the flagships of Google Pixel 3 and Pixel 3 XL, the Pixelbook 2 laptop and a smart display.